Yet somehow it lingers on somewhere in the back of our brains and comes back to haunt us in dodgy party playlists 20 years later. I can’t imagine that was the intention of the musical masterminds behind one of pop music’s most annoying records, but here I am talking about it two decades after it was created (again, so sorry). Unfortunately it will probably live on, and one day I will have to explain to my children and grandchildren why on Earth people alive in the 90s would have wanted to listen to that rubbish. But unlike the material to which this song refers, it’s unlikely that Aqua really did any lasting damage – yes it’s an embarrassing blight on our musical history, but plenty of great records came out of the 1990s so I’m not going to lose sleep over it. The bit that is starting to gnaw at my conscience is what this song represents – our increasingly disposable attitude towards almost everything. We (Hannah and I) recently came to the conclusion that we needed to cut down on the amount we throw away. I’d love to say that it was down to environmental conscience, and a strong desire to make the world a better place – that we’d had an epiphany, seen the error of our ways and wanted to repent for our consumerist sins. It’d be wonderful to parade around preaching atop a moral high horse, surveying the view and inviting you all to join us astride our noble and ethically superior steed. What eventually persuaded us to have a go at reducing our waste was the mess, and hassle. Just like a lot of people, we’re lazy. We hate washing up, cleaning, sorting out the recycling, tidying, taking the rubbish out, basically everything you have to do in order to qualify as a fully functioning adult. So rather than a life-changing moment of reflection, resulting in a newfound purpose and appreciation for the irreparable damage our lifestyles may be causing, what actually happened was I became so frustrated at the amount of crap in our kitchen that I threw a tantrum. Our recycling bins are kept in the cellar, so rather than taking a trip down there every time we need to throw something away, we create a small Jenga/buckaroo style pile of plastic and cardboard on top of our counter. Which occasionally spreads onto the floor, and sometimes the table until one of us caves and braves the treacherous and chilly journey down to the cellar. 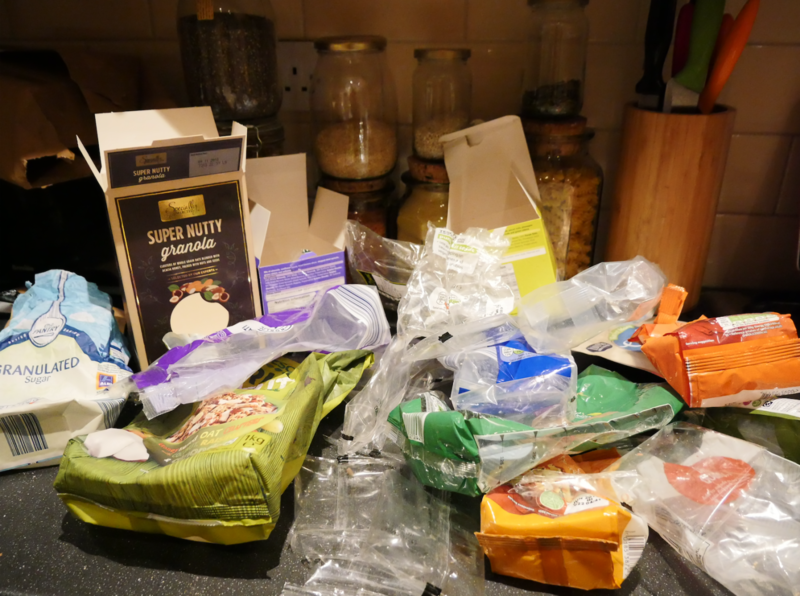 We live in a small terraced house in North Yorkshire, which as you can probably imagine, doesn’t leave a huge amount of kitchen space once you’ve created a small mountain of recycling. …I came downstairs to the usual recycling heap, and a pile of freshly washed plastic on our draining board, ready to be added to our precarious counter-top sculpture. As with most areas of the UK, our recycling is collected once a fortnight, and at this particular moment, as I was surveying our kitchen-graveyard of packaging and wondering how the hell two people had managed to accumulate so much rubbish, I heard the rumble of a large vehicle on the street outside. By the time my sleep-addled brain had processed what time it was, and that it was a Friday morning, I watched helplessly as the recycling lorry drove past the window. After swearing profusely and stomping down to the cellar to retrieve our already full recycling boxes from the cellar it was obvious that there was no way we would last for another two weeks. We would have to sort it all out, load the car and take it to the tip at the weekend. What a colossal waste of time and effort, and not how I wanted to spend part of my weekend. We quickly realised that the vast majority of what was in the recycling bin was plastic food packaging. A bit of research on the local council website told us that half of it wasn’t actually recyclable anyway (why does so much food come in black plastic trays!? ), which didn’t do much to improve my mood. In the end we recycled what we could at the household waste recycling centre, and put the rest in the skip marked ‘landfill’. What a depressing way to spend a Saturday morning. On the short journey back to the house we both agreed that we would try to reduce our use of disposable plastic, for the sake of our sanity and the planet. How hard can it be…? This blog post was kindly written by my awesome other half, Tom. While I agree that our frustration at the mess in our kitchen was the true catalyst for actual action there were a few other factors for me that had been building over time. 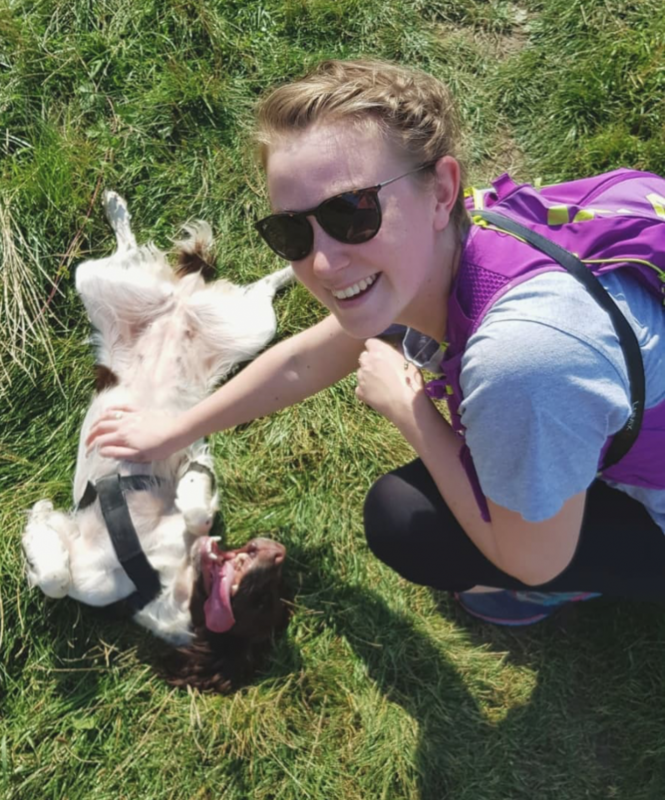 Firstly, I’m still scared by the amount of rubbish and plastic bottles I saw scattered around when we did the Yorkshire Three Peaks last summer. Secondly, I’ve slowly been moving towards wanting less in the house anyway for a more minimalist lifestyle – and rubbish and plastic were something to be tackled on that front. Read about it here. Thirdly, I’ve only seen one episode of Blue Planet II (we don’t have a TV licence and watching it a friend or family member’s isn’t always conducive late on a Sunday night) but I think the episode I did see was the big BBC call to action. It was nothing short of horrifying. 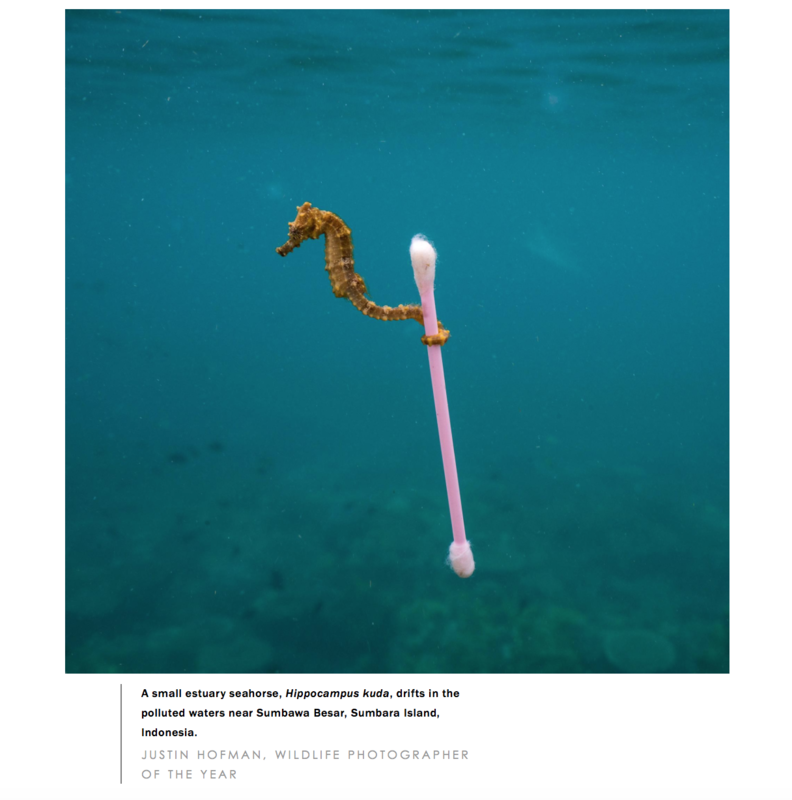 However, the thing that really got me thinking was Justin Hofman’s photograph of the seahorse latched on to the cotton bud, which won the Natural History Museum’s Wildlife Photographer of the Year 2017 competition. It’s such a heart-breaking photo and definitely a huge call to action. This photo makes it clear our ignorant consumerist habits are impacting life on every scale. 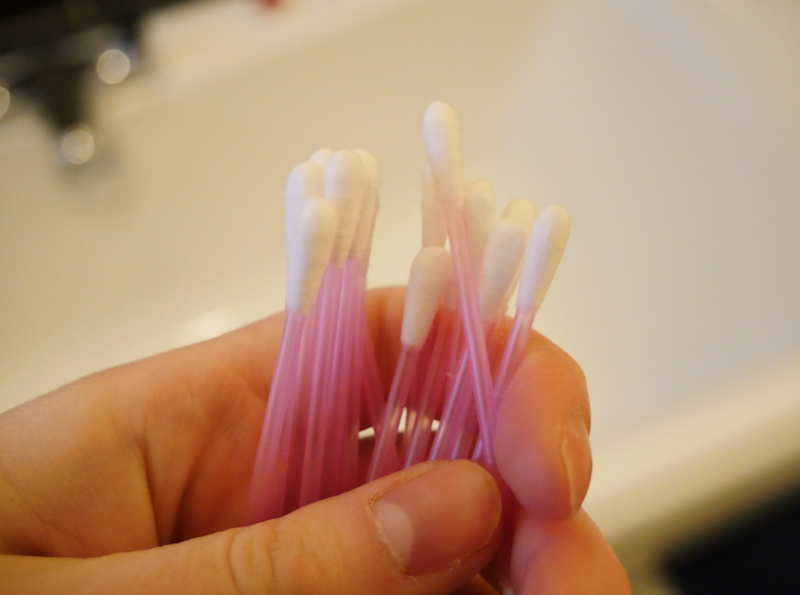 As I have plastic cotton buds in the bathroom – and I’m not even really sure what for – I was hit by a wave of guilt and felt a huge urge to do something about it. I’m so sorry to hear about your mum! I hope all is okay? I think it’s very much a journey and you shouldn’t beat yourself up about needing to have some ready meals – it sounds like you’re doing an amazing job otherwise of cutting it out. We really need to evaluate our bin situation and try and find a solution for composting. We don’t have a big bin to empty into, sadly, and the council don’t collect compost – slightly irritating and we’ve not yet figured it out. We’ve been making our own yoghurt/Tom has been making yoghurt and it’s turned out really well. The first try was a bit of a flop but after that it’s been delicious! Def worth doing as we were using loads of you pots, too. I think we’re going to have to eat a bit less meat from now on with this challenge as our butchers will wrap it in paper/put it in a tub but it’s much pricier. We’ve been fortunate enough that for the past year we’ve been able to have meat from the farm at home but now that’s gone it’s a bit of a shock! I hope yours also goes well – and I’ll put up a blog post about making yoghurt if you’d like 😉 it’s on the list. Thank you Tom and Hannah, First let me say wow for the seahorse image – I have not seen that before! 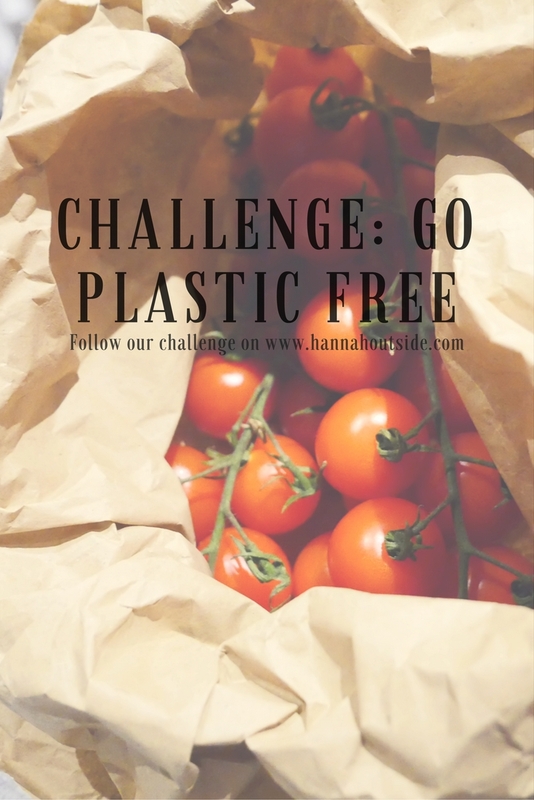 Going plastic free is a really admirable goal and something we as a family of five sim for each day. Although in our case it is very much about progress instead of perfection! Whilst we have made many changes to be more sustainable and less single use, unfortunately schedules and school pressures mean we have fallen short in other areas. Not to worry – it is about raising awareness and being examples to ourselves and our children – so more power to you and deep gratitude!